The beauty of Bamboo has attracted designers to create multiple objects by resourcing this sustainable material. 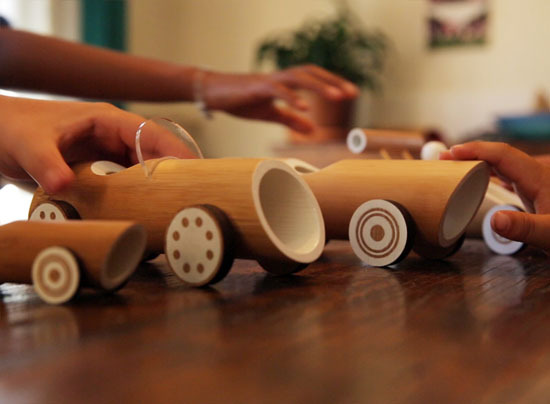 Made of Bamboo has launched a crowd funding campaign to produce eco-friendly bamboo cars for children. 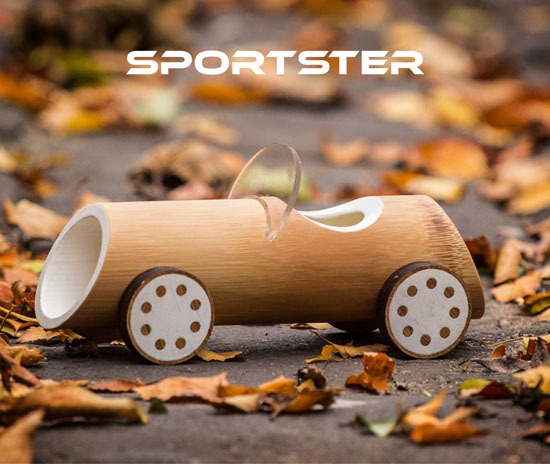 Well, it’s been widely known that children love cars, by combining the beauty of bamboo and minimalist design, the company has created unique, modern toy cars. 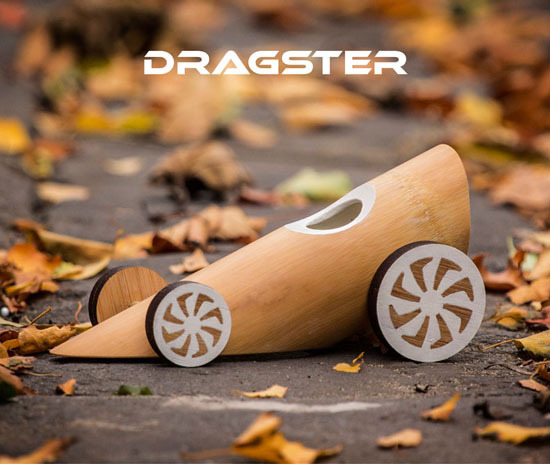 These cars use only lead-free eco paint and natural bees wax finish, there’s no harm material used to make sure the safety of children. 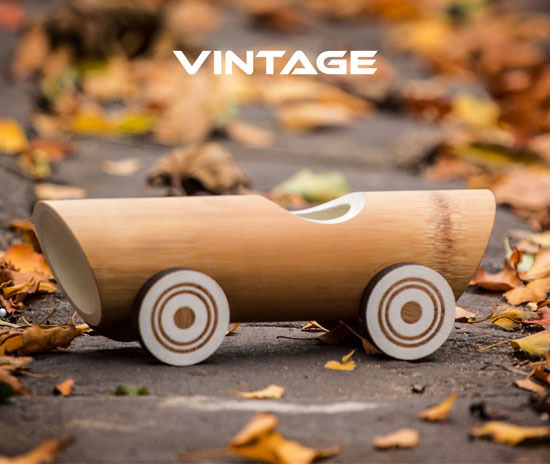 Each car is handcrafted with attention to details, by taking advantage of natural hollow cylindrical form of bamboo, this toy not only features ergonomic form (the circular shape is nice to hold by small hands) but also requires minimal industrial processing, making it highly sustainable product. 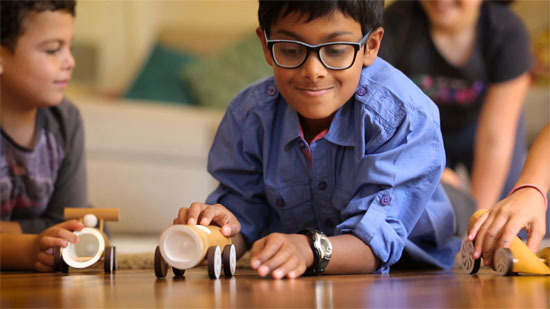 For the love of environment, everything used to create this toy is biodegradable to ensure that it won’t contribute to landfill at the end of its life. 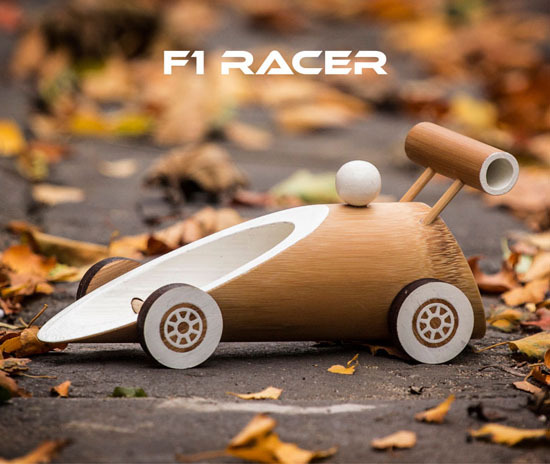 This series of cars have been intentionally kept minimalist in order to capture the essence of car shape while promoting kids imagination. 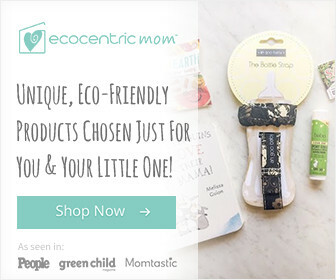 Children can decorate or paint the cars with stickers, decals, or crayons.